Average size is 13kg but can get up to and over 80kg. 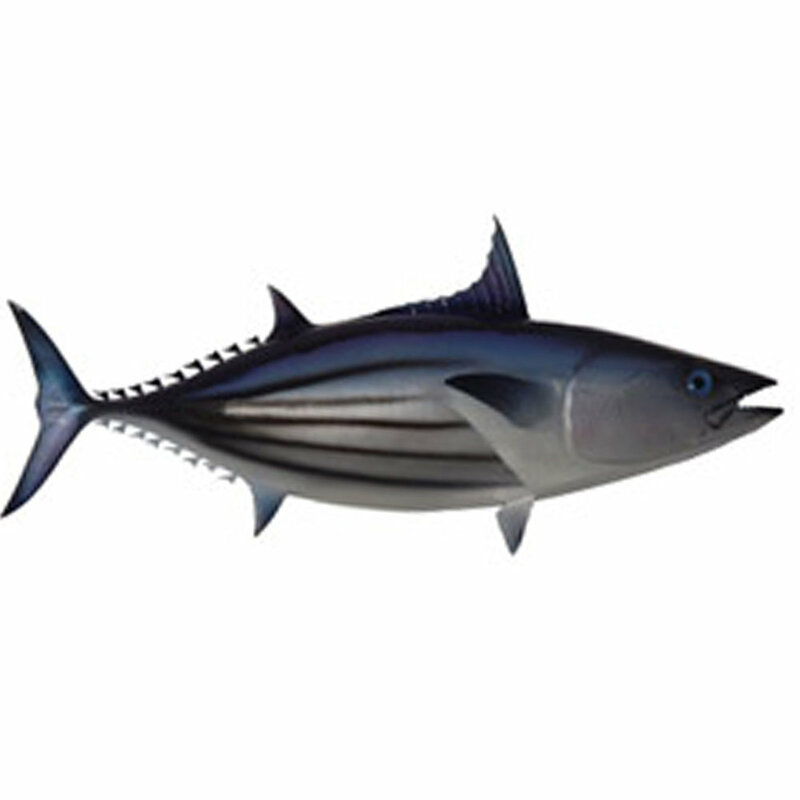 Yellowfin are very hard fighting fish that foam large schools and are found more often during the summer. A delicious fish and very good for sashimi. One of the ocean's top predators, preying on tuna and other smaller fish. Smaller ones are around 80kg but the largest one caught by line around Rarotonga was by Akura and weighed 380kg! 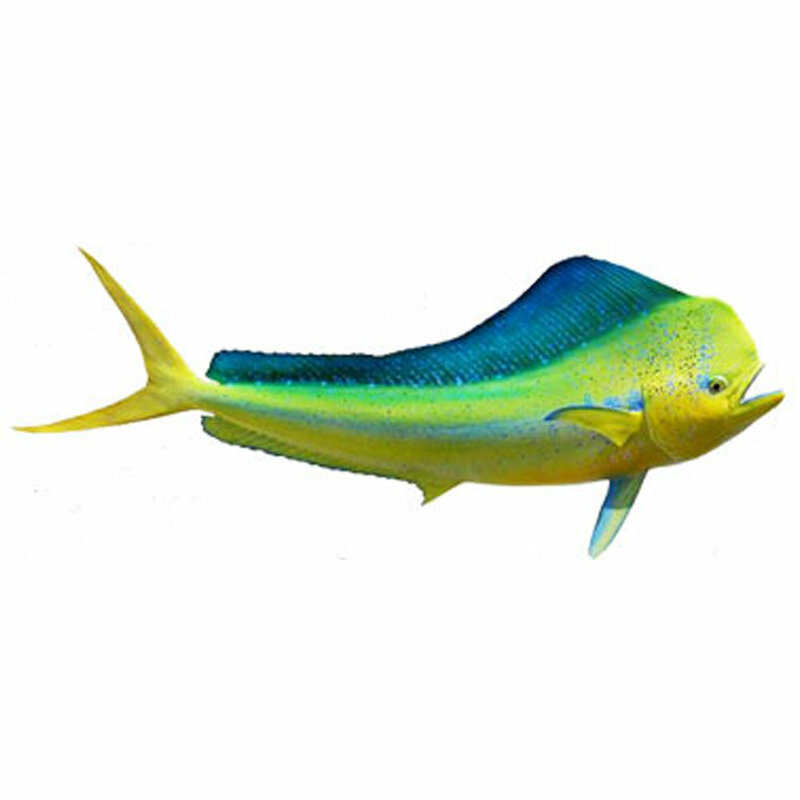 Spectacular in colouring and aerial gymnastics once hooked, the Mahi mahi is also famous for its beautiful taste. It is truly one of the best eating fish in the ocean and also one of the fastest growing. Smaller ones are around 5kg but big bulls can reach over 25kg. The fastest accelerating fish in the ocean, the reel screams when a wahoo hits the lure. Good eating and more common during the winter months around Rarotonga. Smaller one are under 10kg but monsters getting close to 50kg are caught occasionally. Generally smaller than the Yellowfin, school visit Rarotonga more often during the summer months. Black Marlin, Barracuda and Sailfish are also taken from time to time. 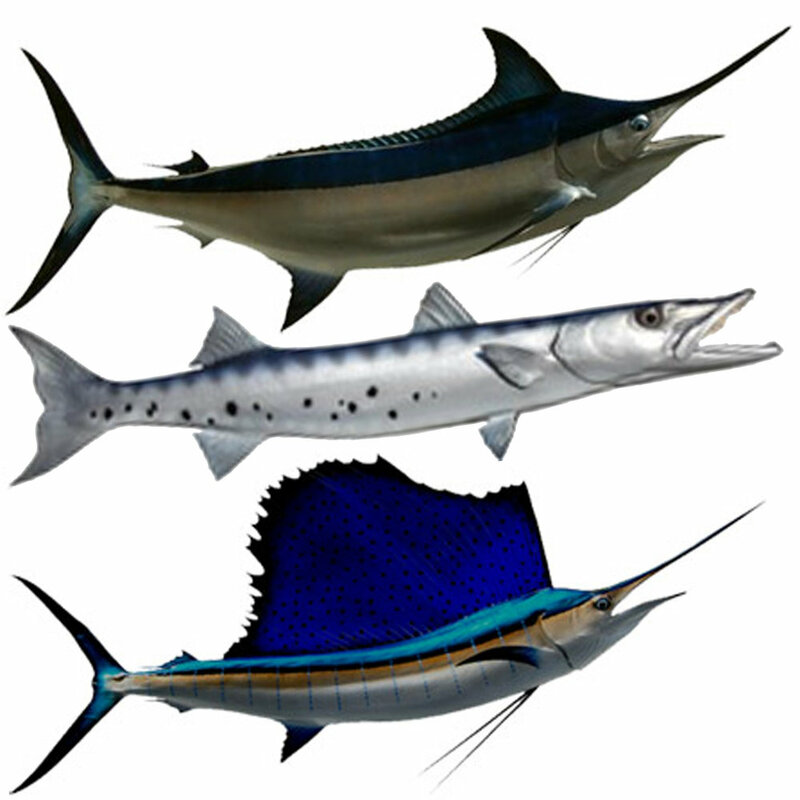 Black Marlin and Sailfish are rare, Barracuda much more common but not targeted.